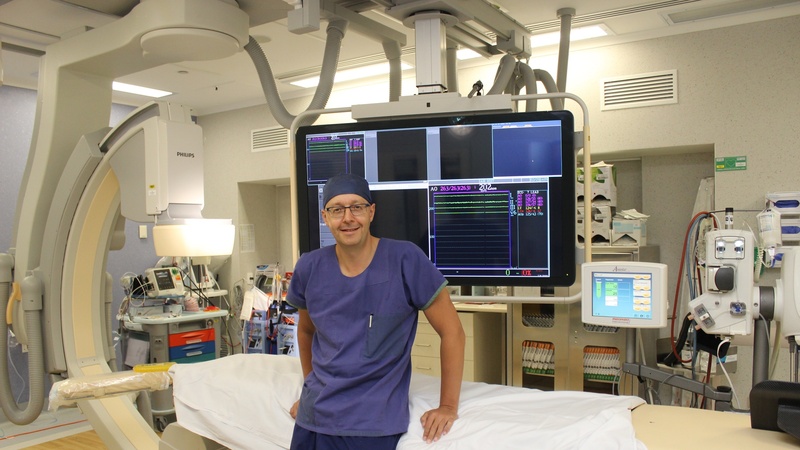 William ‘Bill’ van Gaal, Northern Health Divisional Director of Emergency Services and Director of Cardiology, was recently appointed Professor of Medicine at the University of Melbourne – one more milestone in his impressive career in cardiology services. Here, he discusses his time at Northern Health and the future of cardiology. Can you tell us more about your role in academia and teaching? I have been doing research since I was a medical student. I did my first research project in endocrinology when I was a student at Austin Health and published a paper. I enjoyed doing research and as I progressed in my career, I formally studied it. I then went over to Oxford University. Oxford run a Masters in Evidence-Based Health – it’s a formal tertiary postgraduate education in how to do research. What drew you to cardiology and nuclear medicine? Originally, I was going to be a neurologist. What drew me to cardiology was the ability to intervene in the acute setting. The other was the multiple playing fields – intervention, imaging and clinical cardiology. I ended up doing all three. How did the cardiology department at Northern Health begin? 11 years ago in October 2007. Northern Health started up their cardiology service. They rang me whilst I was in Oxford and asked if I’d be interested in the position of Director. The first thing we did was set up an angioplasty service, then an electrophysiology service, and then we quickly became a 24 hour service. We started with seven cardiologists – we now have 15. Back then we also had five interventionists, now we have seven to help run the 24 hour service, which is much busier than it used to be. When I first started, the department didn’t even have a bed card, so all the patients were under general medicine. Since then, we have developed our own coronary care unit combined with a cardiology ward (Unit D). What have been some of the highlights during your time at Northern Health? The biggest highlight would be seeing what it was, which was tiny, to what it’s become. Another (of the many highlights) is our ‘door to balloon time’ – the time it takes for someone having a heart attack to have their blocked artery open with a balloon and wire. Our outcomes were good, but our door to balloon times were not. We were able to turn that result around and now we’re one of the best performing centres in the state. 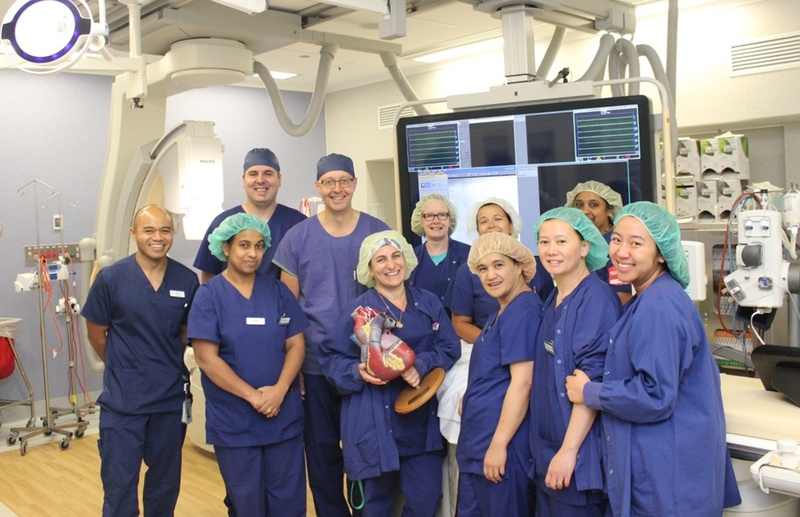 We’ve also topped recruitment for several trials in Australia for lipid therapies; we have Associate Professor Uwais Mohamed, one of the first surgeons in Melbourne trialling His Bundle Pacing; Professor Peter Barlis and his Optical Coherence Tomography program – we are the first hospital in Australia to have this sophisticated imagery technique for coronary diseases; and now we have our first PhD fellow, which is exciting. What does the future of cardiology look like? Good question. There’s this tension between centralising services and providing access across Victoria. Here at the Northern, heart failure is the number one Diagnosis-Related Group (DRG). We treat more than 2,000 heart failure inpatients a year. For us in the next five years, it’s about access. We need to expand our cath lab as the demand increases. We’re also looking at splitting cardiology into general cardiology and a heart failure unit. We want to grow the heart failure service further, increase the focus on quality and safety, and develop our cardiovascular research themes even more.